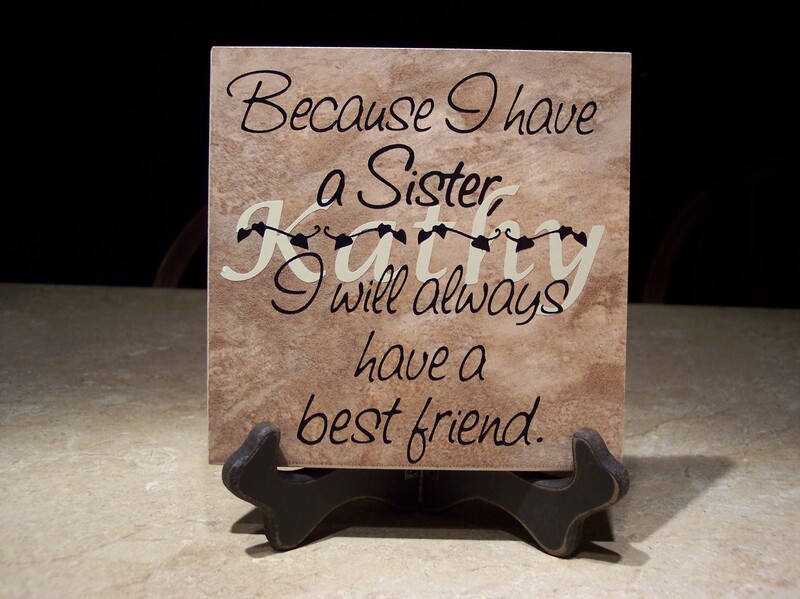 Personalized Version #2: Because I have a Sister, I will always have a best friend. 6″ tile with tan vinyl in background showing your sister’s name -OR- first initial – $18. 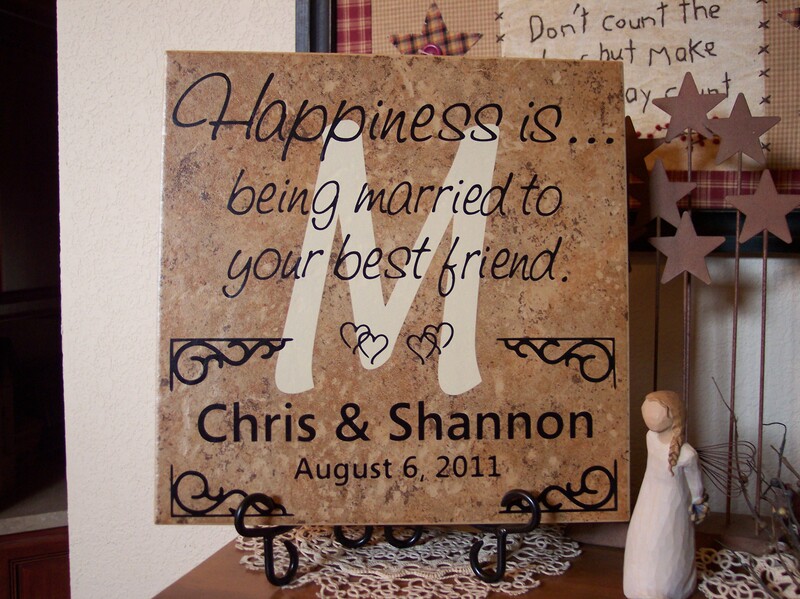 Personalized Wedding Tile – Happiness is being married to your best friend. 12″ personalized tile – $28; with tan initial in background – add $3.